The Women’s Only 5K is a wonderful annual event that raises money and awareness for the treatment of breast cancer. Ward Black Law has been participating in this event for 4 years. Please come by our table and get a free travel manicure set! 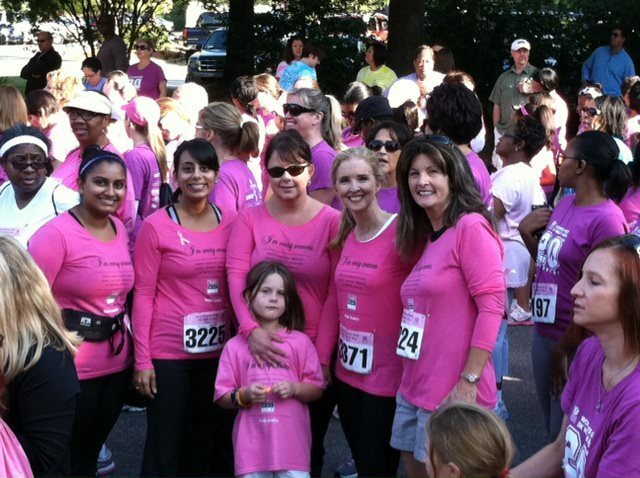 The Ward Black Law team at the 2012 Women’s Only 5K Walk & Run. If you haven’t signed up, but would like to participate, it’s not too late! Arrive at The Women’s Hospital Education Center (801 Green Valley Road, Greensboro) at 7:30 to register! For more information you can visit the event website. We look forward to seeing you, rain or shine!